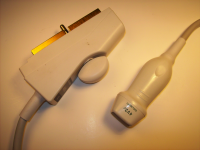 Whether you need ultrasound equipment for fetal keepsake ultrasound imaging or medical use for OB-GYN ultrasound applications, UsedUltrasound.com has the right used fetal ultrasound probe for you. Our prices on used fetal ultrasound transducers can save you as much as 60% off the original retail price, and we back up everything we sell with a 100% satisfaction guarantee that you simply will not find from most other medical equipment companies. We invite you to browse through out selection of refurbished fetal ultrasound probes for sale and contact us if you have any questions or need a current low price quote. UsedUltrasound.com can fill all of your needs for OB/GYN and fetal ultrasound equipment, including dozens of different models of used fetal ultrasound probes and transducers for sale at the lowest prices you will find anywhere online. We pride ourselves on providing the best prices on the best equipment, and we have a dedicated customer service staff to make your purchase as easy as possible. We are available by phone or email to provide prompt fetal ultrasound equipment price quotes or answer any questions you might have about shipping or financing. We also offer ultrasound repair services and ultrasound service contracts so that you can save money on ultrasound expenses. At UsedUltrasound.com, you will find a huge inventory of quality used ultrasound machines for sale from GE, Philips, HP, Toshiba, SonoSite and many other ultrasound manufacturers. 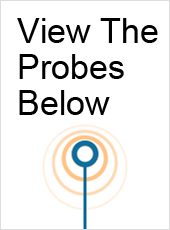 We also have compatible ultrasound probes and transducers for virtually every model being used today, and even if you don’t see what you need on our website our ultrasound experts can likely find it for you at an affordable price. Our number one goal is to save you money on the purchase of quality used ultrasound equipment, so contact us today if you are interested in pricing information on used fetal ultrasound transducers and probes.